Lori began studying ballet at the age of 11. Born and raised in Baltimore, she studied at the Baltimore Ballet School, and was awarded a scholarship at the Peabody Conservatory of Dance. She studied at The School of the Richmond Ballet with Maria Swoboda and Mansur Kamaletdinov. She went on to study at New York University Tisch School of the Arts under the direction of Larry Rhodes, again under scholarship. While there she also attended classes at the Joffrey School of Ballet. She received a Bachelor of Fine Arts degree in Dance Performance and Choreography from Towson State University where she studied on scholarship, was President of the Sigma Rho Delta honor society for dance and was a member of the TSU dance company. While at Towson she received the Peggy Dorsey Professional Promise Award. She served as resident choreographer for the Baltimore Children's Dinner Theater and has also performed in, and choreographed too many musical and theatrical productions to count. One of her favorite productions was performing in The Merry Widow under the directorship of Saul Lilienstein's Operetta Renaissance. Other roles have included; The Sugar Plum and Dew Drop Fairies from the Nutcracker, Little Red Riding Hood and Kathy Seldon from Singing in the Rain to name a few. She taught dance in Maryland for many years before moving to California where she has continued her passion. She also choreographed for Saddleback College. Recent professional trainings include The Vernon Fosse Legacy Workshop (with fellow DW instructor Rebecca Bush), American Ballet Theater Teacher Training and Progressive Ballet technique training. ​Susi began her education as a performer at a very early age in Southern California. Graduating from the Orange County School of the Arts (OCSA), and continuing on to major in dance performance at Loyola Marymount University, allowed Susi to hone her craft as an artist and teacher of dance. Susi performed with American Ballet Theater, New York City Ballet, and San Francisco Ballet. She was also a company member of Sound Effects, a youth tap ensemble founded by Christy Hernandez. After college Susi moved toNew York City,dancing and teaching professionally for eight years until she moved back to Southern California. Her choreography has been performed at the American College Dance Festival in Sacramento, featured in Dance Spirit Magazine and seen at the Joffrey Ballet summer intensives and throughout the East Coast. Susi is a certified GYROTONIC® and GYROKINESIS®instructor. This helps her students build a solid foundation to achieve longevity in their dance careers. Saresa Berry is from La Palma California and started dancing at the age of 5. She trained in a variety of genres such as jazz, ballet, tap, lyrical and hip-hop. She was on he high schools cheer/song team in California an then moved to La Grange Georgia where she was also a member cheer team. Upon graduation she continued dancing on the Georgia Souther University Dance team. During her time she was awarded rookie of the year and was also co-captian where she choreographed for the team. She was also a member of the the sorority where she not only competed, but also chroeographed for them. She holds a degree in accounting and a minor in marketing. Rebecca was born in Chico, CA and started dancing at a very young age. She has studied throughout Southern California where she has trained with such ballet legends as Melissa Allen Bowman of ABT, Richie Bowman, also of ABT and Steps, and Maud Watcher from the Leipzig Ballet in Germany. In addition to teaching ballet at several Orange County studios, Rebecca can also be seen performing in shows around town including Opera Magnific. Her experience is not just limited to dance, she also has a love of theater and continues to enhance her training with voice lessons. She is a costumer who has had her designs grace the stages of Saddleback College, and the Pacific Ballet Theater to name a few. She is married with 2 children and holds a BA degree from San Diego State University. Elise began her dance training at the age of four. She trained at South County Classical Ballet, The Pacific Ballet School among other studios in the Orange County area in Ballet, Pointe, Jazz, Lyrical and Modern. Performing has always been one of Elise's passions. She has performed at UCI, Saddleback College, Orange Coast College, Vanguard University and California State University, Fullerton. She has also danced in several dance festivals and has performed with the Golsnam Dance Company. She holds a Bachelors of Arts degree in Dance from California State University Fullerton with a minor in Theater Arts and is an I.D.E.A. certified personal trainer. Jordyn started tap dancing at the age of 11 and immediately fell in love with dance. She continues to study with the with Joffery Ballet in Las Vegas on scholarship and has studied with Joffrey in both New York and Los Angeles. She was recently cast in recurring episodes in the NBC hit series This Is Us. Jordyn has since performed with the American Ballet Theater in the world premier of Sleeping Beauty at the Segerstrom Center. She studied dance and biotechnology at Pointe Park University in Pittsburgh. She received an Orange County Cappie award for best dancer in the musical Oklahoma. She received the Modern Dance Conservatory scholarship from San Juan Hill High School. She is currently attending Chapman University where she is studying biochemistry and molecular biology with minor in dance. Camile has been dancing for over 21 years starting her training at Dance Works. Here she was on many teams while taking numerous classes. While competing at Dance Works, she was awarded several Overall High Titles and special awards for her solo and group routines. She joined the varsity Song Team while attending El Toro High School. After graduating from El Toro High, she attended San Diego State University where she graduated with a Bachelor of Fine Arts (BFA) in Dance. Karie started dancing at the young age of three. She started taking classes at Dance Works and continued to compete until she was 12. Karie is a graduate of the Orange County High School of the Arts in Commercial Dance and has since taken classes all over the Los Angeles and Orange County area. Karie has studied with many prestigious choreographers including Mark Meismer, Travis Wall, Twitch and Justin Giles to name a few. Karie also sings and acts, She is currently signed with the Bloc Talent Agency has appeared on the Disney channel and in Seventeen Magazine. She studied entertainment production in college to round out her performing and teaching skills and earned her Masters degree in education from Cal State Fullerton. Connie started gymnastics when she was 7 years old and quickly found a love for the sport. She started out as a competitive level gymnast and continued in the area of power tumbling and acrobatics where she competed until she was 16. In high school Connie used her skills as a varsity cheerleader. Upon graduation she performed at Saddleback college and currently performs with our fellow teacher and choreographer Kim Mercedes. Connie has been teaching tumbling since she was a teenager, having taught students in Arizona and California. Connie also is an amazing artist and loves to create masterpieces for young students. She is married and has 3 children, Ellie her youngest is a student at Dance Works. Nathalie started dancing at the age of 8 at Dance Works. From there she attended the Orange County School of the Arts in the Classical Contemporary Dance Department and went on the graduate from the University of California Los Angeles with a double Bachelor’s degree in History, and World Arts and Cultures with a Dance Emphasis. After college she followed her dreams of moving to New York City and auditioned for countless Broadway shows and trained with The Radio City Rockettes for five summers. During her time in NYC she had the opportunity to perform with and study under countless theater industry choreographers and producers. Some of her favorite shows to perform and workshop have been 42nd Street, Dames at Sea, and Thoroughly Modern Millie. While obtaining her Dual Master’s Degree in Global History from Georgetown University and King’s College London, she served as Rehearsal Director and choreographer for the King's College London Dance Society and Competition Teams. Nathalie believes in actively pursuing her own dance education and is currently learning partner and vintage styles such as swing, latin ballroom, and vernacular jazz which she loves to incorporate into her choreography. Originally from Trinidad, Ms.Sorzano received her primary instruction from New World School of the Arts, The Miami Conservatory, and The Dance Theater of Harlem. 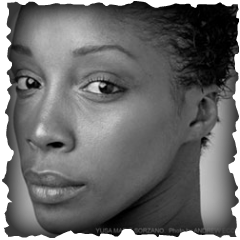 She attended the Ailey/Fordham BFA Program and in her junior year was invited to join Ailey II. Ms.Sorzano has been a member of the Complexions Contemporary Ballet, The Alvin Aliey American Dance Theater, Morphoses, and TU Dance. She has performed a wide variety of concert work, including noted choreographers, Ulysses Dove, Mauro Bigonzetti and Ron K Brown. As well as, with recording artist Wynton Marsalis, Beyonce Knowles,and Rihanna. She has been a guest artist on Dancing with the Stars and starred as the principal dancer in the independent film "You Me and The Circus" and The Goodman Theater's 10th anniversary of "Crowns". She is a faculty member of the Joffrey Ballet School. When not performing Ms.Sorzano enjoys teaching both nationally and internationally. Jasmine Mason first started dancing at the age of 3. She trained at Dance Precisions in Placentia, CA with Shannon Mather and her last year she trained at Shannon Mather's new studio (Mather Dancer Company). Jasmine has toured in Europe with singer Helene Fischer. Also appeared in two music videos for singer Eric Hutcinson. 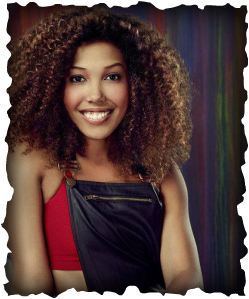 Jasmine has won numerous titles during her dance competition years and was a runner up on the 13th season of So You Think You Can Dance.